This PSN, spotted by Renée Keogh in Lennox Head NSW, reminds me of the “Legitimate Businessman’s Social Club” on The Simpsons. All Above Board? Suuuuuure. 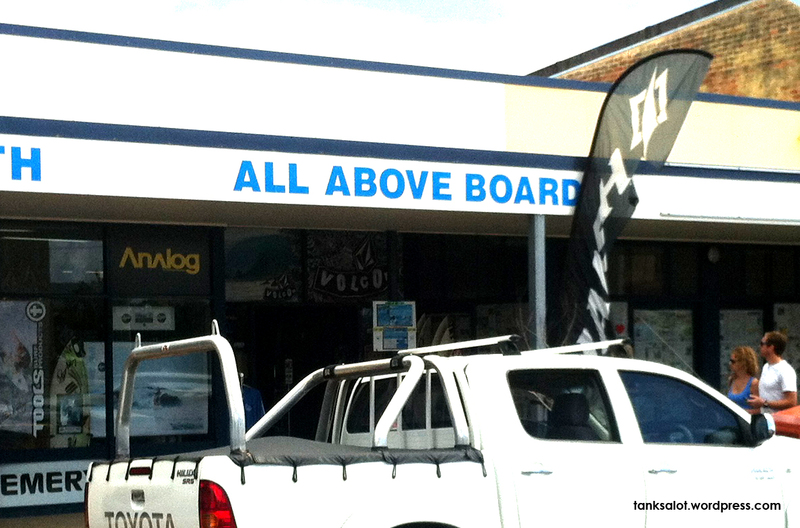 Interestingly not the first skate/surf shop with a name like this. 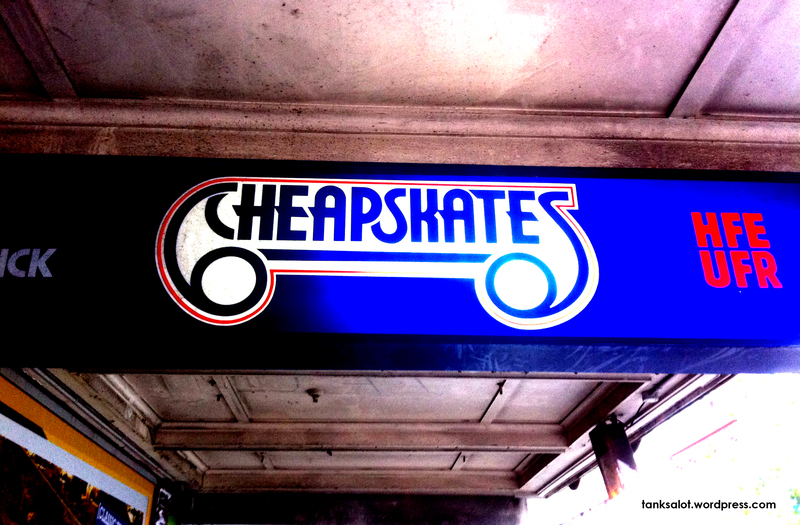 Catering to the cheapskate skater community in Wellington NZ. I wonder what the etymology of the word ‘cheapskate’ is? Also, I wonder what the etymology of the word ‘etymology’ is? *Anyway*… nice work, Jade Ramsey, in finding this great PSN. 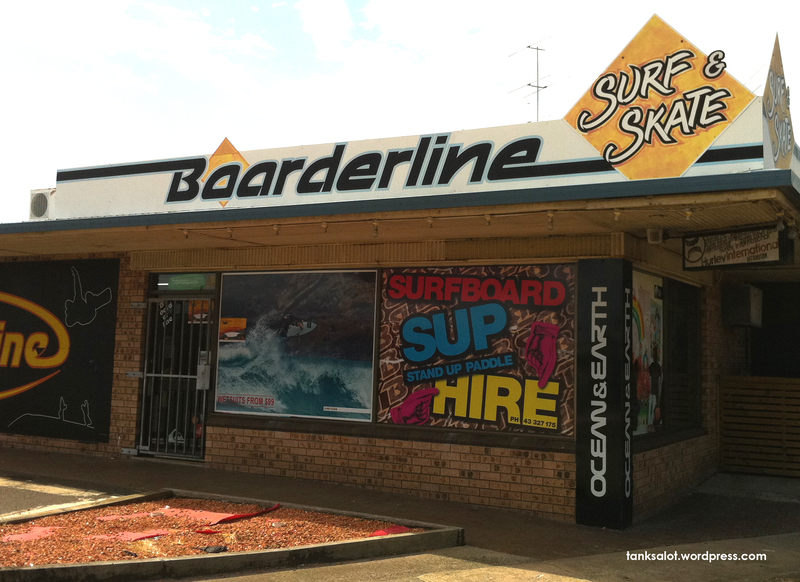 In the world of clever Pun Shop Names this is, well, boarderline. Spotted in The Entrance NSW. This skate shop in Adelaide was actually started by friends of mine (Hi, Mick and Rick). Of course I thoroughly approve of the Pun Shop Name.